We don't just need power. We positively can't live without it. And not just humans. Animals, Air conditioners, pacemakers, planets and galaxies - nothing would work without energy. They say love is all around, but so is energy. Like our bodies need energy to grow, civilization needs energy not just to evolve but to maintain itself. Still, energy often finds itself underappreciated. Perhaps its very ubiquity is the reason we take it for granted? Being invisible can't help either. But it's not fair. If materials are the foundation of innovation and development, energy is the catalyst that makes change possible. Because in the end, change is what we want in the materials at our disposal. We don't want iron ore, we want iPads. Without energy we are stuck with iron. If that. Simply put, harnessed energy is here to stay. And she is our friend. Having said that, energy is also problematic. Why? Mostly we need so much of it, but also because we don't agree on the best way of producing it. Should we keep refining nuclear technology to tap an ever increasing percentage of the enormous energy contained in uranium? Or make modern windmills a standard feature of our mountains and coastlines? Maybe blanket our sea floors with wave energy farms? At the user end, should we replace lightbulbs in our homes, turn down the heat and put on a sweater? When we resort to wishful thinking, the answer is a little bit of everything. Like when we wonder why we can't recycle the energy of exercise bikes at the gym. It's a simple question of quantity. A spinning class can certainly charge a few cell phones, but they can't keep the blast furnaces of a steel plant running. We humans need a lot of energy. All the time. More than 80% of the world's energy supply still comes from fossil fuels - coal, oil and natural gas. Six percent is nuclear and barely 14 % is "the rest" meaning hydro, biofuels, refuse, sun, wind and other renewables. (It is fair to predict that) burning fossil fuels will decline due to its effect on the climate, and nuclear power will do the same because of the risks. The price relations between energy types will change too. 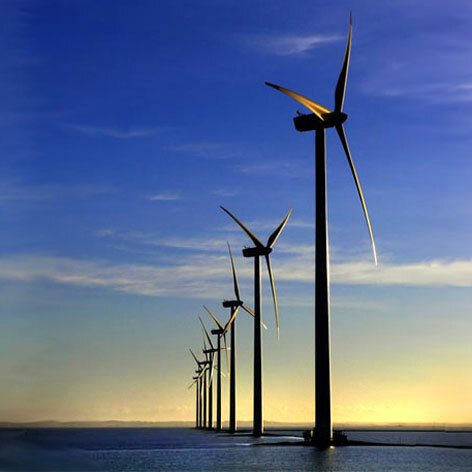 Many of the big energy companies already invest in the wind power, and they are working on raising the efficiency of existing operations of hydropower. Fossil gas power is according to many experts an increasingly important energy source for Europe. It is politically problematic since a large part of it comes from Russia and the gas also contributes to the greenhouse effect, albeit to a smaller degree than coal power. While giant companies battle to find new energy sources, smaller scale companies are tapping into a decidedly more sustainable process: making existing energy consumption in buildings and industries more efficient. These small companies are good at finding free energy. They do a complete inventory of buildings and industries to find energy sources in and around them that are not being used. Solutions are often hybrids of, for example, geoenergy from the ground and lakes and exhaust air heat capture. It's even possible to find energy in sewage water. This budding industry sector consists mainly of small companies and is not yet visible to the public eye. What they do demands an explanation, but when people finally get it they wonder why everybody isn't doing it. Once you've found a primary source of energy - coal, uranium, wind, falling water - the problem arises of how to make it work for you. A lump of ever-so-energy-rich uranium in your hand isn't going to charge your cell phone. The primary source of energy needs to be converted into an energy carrier, in our society almost exclusively electricity or gasoline. Wind and sun are sometimes called "free" energy. Nobody charges for the sun shining or the wind blowing. But in its original state, oil is also free. Nature has produced our fossil fuels during millions of years, and now they lie there in their geological layers - free to exploit, mine and pump up. So catching, harvesting and selling energy all involve different kinds of difficulties and costs depending on the energy source. oil is still the world's most common energy source, even if its relative proportion is falling. Some scientists claim that the world has already reached "peak oil". This means that the current extraction and consumption pace is higher than the pace at which new and economically accessible resources are being found. However, oil will never cease to exist in a physical sense. It will merely become more expensive and more difficult to extract. In the end, as production costs increase, it will be substituted by other energy sources. Some scientists, on the other hand, maintain that it will be a long time before the economically viable oil reserves are exhausted. Russia and Saudi Arabia are the world's two largest oil producers. Their economies are highly dependent on energy export and it will be difficult to politically hinder or decrease the supply of oil. Two thirds of all oil is used in the transport sector, meaning vehicle fuel. To change this, it would have to become cheaper to run vehicles in a different way, for example a technological or economic breakthrough for electrically driven vehicles. Coal is available in larger quantities than oil. With current extraction levels, the world's accessible coal supplies are estimated to last several hundreds of years. Even natural gas is available in enormous quantities. However, to make the energy in fossil fuel useful to us, they must be burned, in the engines of vehicles or in power plants producing electricity. This means that costs are divided between finding, prospecting, extracting, transporting, enriching and converting the energy of fossil fuels. Using this perspective, sun and wind power have a much clearer cost structure. Here, the cost of building the actual power plant overshadows everything else. But for these less stable energy sources, there are additional costs for adjusting and improving the function and capacity of the power grid. Also, the overall energy system must be complemented by other means when it's not windy or the sun isn't shining. 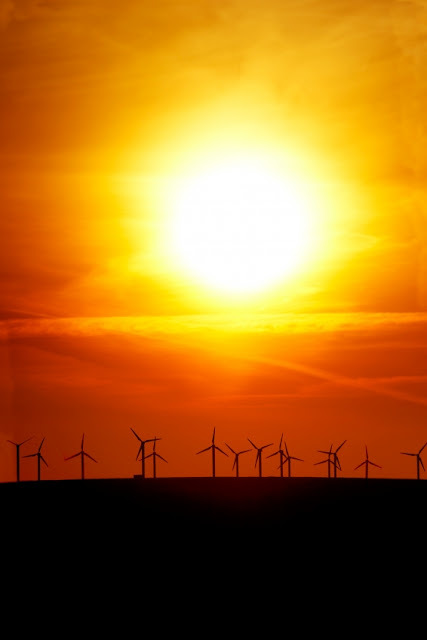 In other words, the supply price for solar and wind power is set largely by the estimated capital costs and the spreading of investments across future energy production. Even hydropower is affected by the weather, although more so on a yearly or seasonal basis rather than hour by hour as is the case for solar and wind power. Water can be stored in reservoirs and dams, and the flow rate to the power companies' turbines can be regulated and distributed according to demand. So, harnessing energy is not the straightforward affair it may seem to be. The price of producing one kilowatt hour of usable energy depends on many factors. A new power plant is almost always more expensive than an existing one. On the top of the economic calculations of operating costs come the political desire to accelerate energy change, from climate-affecting and risky energy sources in the direction of renewable and "clean" energy. Destroying the environment also has a price. Just the way it should be.